Jet Airways were asked to offer the passenger tickets at the lowest fare possible. The DGCA will monitor the fare movement of the airline daily. New Delhi: The Directorate General of Civil Aviation (DGCA) is mandated to monitor the fare movement of the debt-laden Jet Airways on a daily basis, said an official on Tuesday. The DGCA will further engage with the airline and take appropriate action if the issue of higher air ticket prices persists, said news agency ANI. The development comes after the aviation regulator (DGCA) held a meeting with the airline representatives, earlier in the day. The airline was advised to monitor the fare movement at their level and provide the required information to the DGCA. “We monitor domestic airfares daily particularly on high-density routes and routes where an alternate mode of transport is not available or is difficult. Based on the monitoring process, DGCA engages with airlines when spurt in airfares is observed at any sector for appropriate action,” said DGCA officials. Staff sentiment at crisis-hit Jet Airways has hit the lowest as the endgame nears for the airline. With no interim funds coming from the lenders and suspension of all its operations imminent, they have lost all hopes and are bracing for tough times ahead. “We are going to approach the Labour Commissioner for recovering our dues. We can no longer hold on any further,” said an engineer who has taken a loan against his LIC policy to meet his daily expenses. 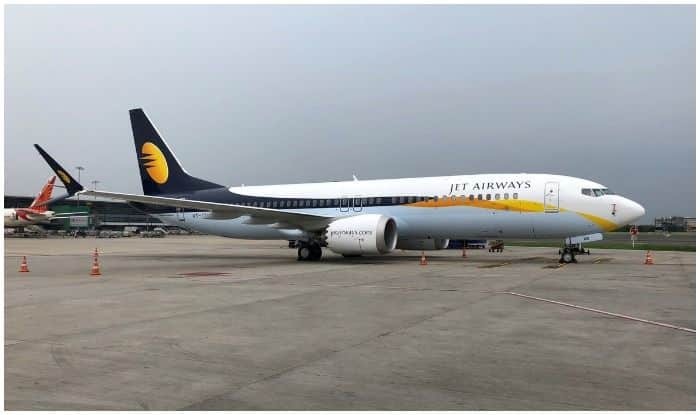 Airline sources reportedly said that a few hundred pilots would move from Jet Airways in the next few days as they no longer believe that the airline could be saved. Meanwhile, the shares of Jet Airways dropped 12.47 per cent to Rs 229.05 on the BSE on Tuesday afternoon.